Grafted weeping green Japanese maple with fine feathery leaves. 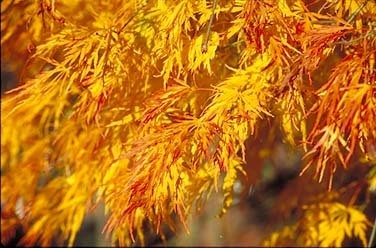 Regarded as the best performing green weeping maple. Autumn colour is bright golden yellow with orange tines and in Winter when the leaves fall the stems show amazing white markings. New growth is lime green turning dark green in Summer.